I am pretty sure that Vembu BDR is not very known among IT Professionals, but from what I see, it is quickly gaining traction in the backup world. The product is already packed full of features, it supports VMware, Hyper-V, Physical Servers and Physical Workstations, unlike some other products which are virtual only. What is more interesting is that Vembu will surprise you with innovative features. Some are unique to Vembu and have never been included in competing products. 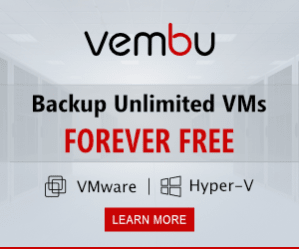 It is important to mention that the Vembu is a modern product, meaning that for backing up VMware and Hyper-V does not use any agents as the product is fully utilizing VMware and Hyper-V backup APIs. Vembu BDR uses a Web interface meaning that you can easily configure it from any location, any device. In addition to improvements mentioned below, Vembu refined a web interface just a little bit, now it looks even cleaner and pleasant. Looking at the features, there are a lot of improvements for the point release. I have to admit that I really like some, like for example, the free edition. Disk Image Backups functionality has been enhanced. Now, this can be configured and managed with the Vembu BDR Server. Relying on proxy agents is no longer needed, only in cases when it’s a distributed deployment and requires individual proxy agent installation. File Level Recovery(FLR) is now available for backup and replication jobs. The user can choose specific files and folders from VMware/Hyper-V/Disk Image backups and VMware replication, to be restored quickly. Storing a copy of backup data for DR requirements has been improved via seed loading backup server data to the desired offsite server in the data center. This has an impact on bandwidth saving and time needed to transfer large amounts of data. When you enable Auto authorization in Vembu BDR, it allows proxy agents to get registered to the backup server by using a unique registration key which is automatically generated by respective BDR server. Vembu has improved the security of their BDR product. With the latest version, users can provide an additional security layer to their disk based backup jobs. Users can by assigning a custom-password to the backup server, therefore their backup data will be encrypted via private key. Data can only be restored/accessed by providing the custom-password. I think this is one of the best features. What do you do when you have multiple drives and want to combine them? 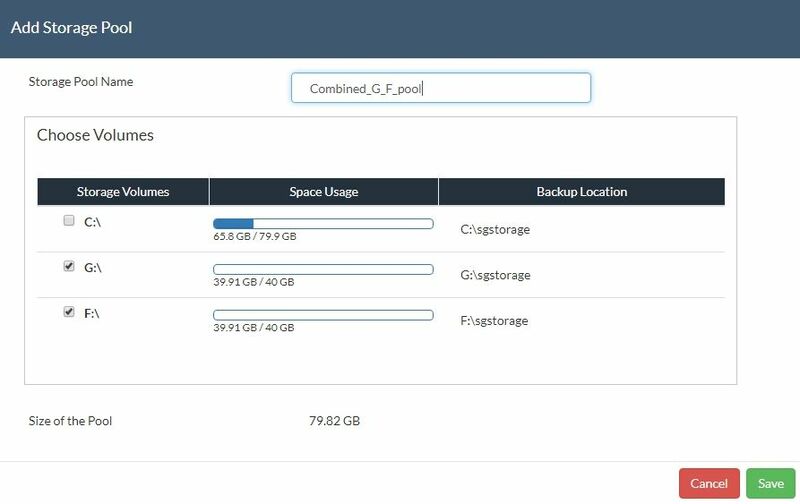 You can use a new feature in Vembu 3.8 called Storage Pools which aggregate the space available from different volumes and present them as one volume. 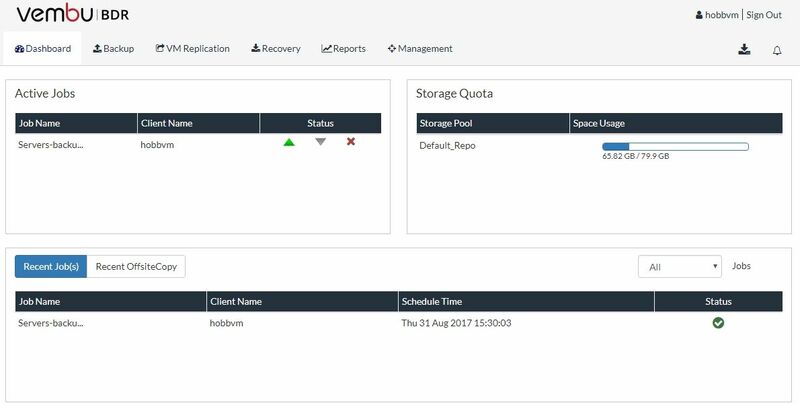 The hybrid volume manager of Vembu BDR Server supports scalable and extendable backup storage for different storage media, for example, Local drives, NAS (both NFS and CIFS) and SAN(iSCSI and FC). Vembu BDR provides storage pooling option for both levels – backup level and group level. One of the improvements in the latest version is also the client agents installer in the .msi format.The installer will check automatically for the OS type – 32 bit or 64 bit and it will install Visual C++ packages. Users can enable or disable retention policy for the backups based on their requirements. When the backup size is low, Users can disable retention. This feature allows the user to maintain all the backups without any merging of the incremental timestamps. Users can download backup data in multiple disk file formats such as VHD, VMDK, VHDX, VMDK-Flat and RAW. That means that even though you use for example a VMware infrastructure, you can download Hyper-V VHD disk if so required. If the user needs to download individual disks in a virtual machine, he/she can perform disk level download by selecting the type of disks. You will find a group of virtual machines in a host backup. You can download multiple disks with same disk file format. Disk Management Mount option in Hyper-V enables you to instantly attach a backup data to disk management as a VHD/VHDX file and proceed with the restore process. The VHD/VHDX file is created by virtually mounting the backup data on the Vvembu virtual drive. Users can access backup data via disks attached to disk management. Once the user is done with the requirement, unmount backup data and operation is complete. This action will resume the backup job so that incremental will run as scheduled. Virtual Machines that are present in the host will be listed in an alphabetical order. This feature comes handy when you have multiple virtual machines. Search and configure operations are much simpler. Also in the Review Configuration page, the Virtual machines that are chosen for backup are listed in the selected order. Note: Virtual Machines will be listed in the hierarchy order following hierarchical order <special characters>, <numeric characters>, <Uppercase letters>, <lower case letters>. This option allows the user to search the Virtual machines that are available on the ESXi host. Also, the user can search VMs/ host/cluster from a vCenter server. 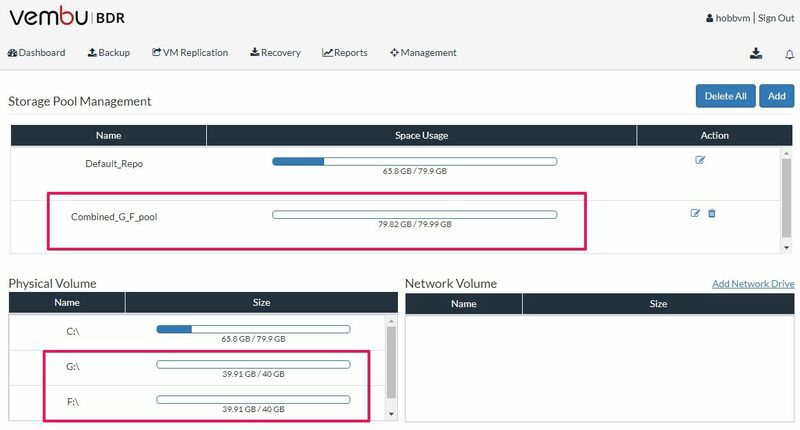 By specifying the required VM name in the search option you can select the VMs that are to be backed up from an ESXi host or vCenter Server. VM level report gives the user the centralized view of all VMs that are configured for backup. It allows the user to view the backup reports of virtual machines with detailed view. This feature works from both ESXi or Hyper-V Host. PLease note, this is my favorite feature. After 30 days trial version, the user can either decide to purchase the full version or continue using the free edition. In Free edition, the user has two options to choose from. They can either proceed to use Full featured edition but with a limited number of virtual machines or use a free edition with an unlimited set of virtual machines but limited features. How cool is that? Vembu is gaining traction, that is for sure. 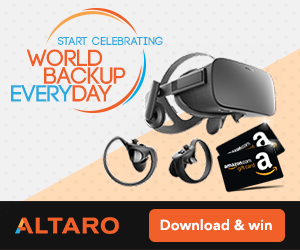 Not only do they surprise with unique features, they also take bring back to the community with innovative free edition where you can use a full edition on a limited number of virtual machines. If you are interested in Vembu, you can read my review or you can visit Vembu website https://www.vembu.com/ to explore further options with their product.